Prof. Pachmann started her scientific career with the help of an Educational grant from the German Research Foundation (Deutsche Forschungsgemeinschaft) in 1974 at the Institute for Cell Research (Institutet för Cellforskning) Karolinska Institute Stockholm Sweden followed by a Research grant from the German Research Foundation (1976-1977) at the Institute for Hematology GSF (now Helmholtz Zentrum München). She was subsequently a Research Fellow at the Institute for Hematology GSF (now Helmholtz Zentrum München) from 1977 to 1982 followed by positions at the Klinikum rechts der Isar, Munich and Klinikum Innenstadt der Ludwig-Maximilians Universität, Munich. From 1996 to 1998 she was visiting scientist at the MD Anderson Cancer Center Houston Texas Section of Molecular Hematology and Therapy followed by 12 years as a Professor for Experimental Hematology and Oncology at the University of Jena. Dr Tim Ewer is one of New Zealand’s most experienced, and highly regarded integrative doctors. Tim has been working in the field of integrative medicine for over 25-years and has established the Mapua Health Centre near Nelson where he works with his team, offering training opportunities for final year medical students, junior hospital doctors and GP Registrars. Originally trained in the UK, Tim worked as a hospital physician for a decade after gaining his medical degree and specialist qualifications. He then went on to further study in the fields of nutrition, environmental medicine, hyperbaric medicine, acupuncture, bio-energetic medicine, holding post-graduate qualifications in paediatrics, obstetrics and gynaecology, and occupational medicine. My objective is to offer the most advanced technologies and therapies which are currently available. Immediate and direct access to leading medical professionals, with care tailored to the individual patient’s needs. Prevention: Holistic treatment of disorders and assessment of personal risk with scientifically based treatment procedures for biological substances. Acute diseases: Advice and therapy taking into account the newest treatment approaches from science and research. The effectiveness of standard treatments will be monitored and risks assessed. Palliation: Treatment according to the principle of maintaining quality of life and personal integrity. 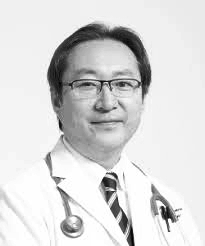 Shinichiro Akiyama currently is General Director of the Saisei Mirai Clinic in Tokyo, Japan. He had been a fellow in Oncology at Sapporo Medical University School of Medicine. This led to clarify intracellular TNF as a resistant factor by chemotherapeutic agents. He joined the Cancer Immune Cell Therapy Center of Kudan Clinic in 2009. There he had applied cancer gene profiling as therapeutic effect of peptide-pulsed dendritic cell therapy. He was selected as “Featured Global Expert Cancer Researcher of Marquis Who's Who” in 2015. Recently immunotherapy has become an attractive new strategy in the treatment of cancer, boosting the patient's own immune system to eradicate cancer cells. The toxicities of immunotherapy for cancer are as diverse as the type of treatments that have been devised. Immune surveillance by macrophage is critical for the immune integrity since invertebrates has evolved and is imposed through an intricate armory of functions that can infiltrate into tumors tissue. Oral colostrum macrophage-activating factor (MAF) produced from bovine colostrum derived vitamin D binding protein has shown high macrophage phagocytic activityas well as anti-tumor activities. Oral colostrum MAF stimulates macrophage whereas its precious mechanism has not yet been understood. It is administered orally in an acid-resistant enteric capsule to activate macrophages in the gut-associated lymphoid tissue and as a powder in the mouth to activate macrophages in the lymphoid tissue of the Waldeyer's tonsillar ring. In terms of practical clinical use, oral colostrum MAF has certain advantages over MAF produced from serum because it is derived from bovine colostrum and it is administered orally and sub-lingually instead of injection. We propose that oral colostrum MAF and MAF produced from serum could demonstrate a greater immunotherapeutic activity than that of serum MAF alone. We have also treated cancer patients with oral colostrum MAF in combination with cancer gene therapy and/or NK cell therapy so as to induce higher potential benefit of solid cancer therapy. Dr Stefan Schuster started at SIMFO in 2013 as assistant to the board and gained a lot of experience in molecular diagnostics. Since 2015 he joined the board of management of SIMFO GmbH. He is responsible for scientific collaborations and economic partnerships worldwide, i.e. DKFZ, Heidelberg Germany, training of physicians as well as the further development of the maintrac method. In 2015 he successfully initiated collaboration together with the University of Bayreuth funded by the German Ministry for economics. Also in 2015 he was accountable for several EU funded H2020 projects. During the past years he developed the product strategy of SIMFO/maintrac. 2013 he was awarded as one of the best seven business plans of the Bavarian State Government (BPWN competition). In the past years he attended several congresses and held successfully lectures and published articles about circulating tumor cells. From 2009 to 2013 he worked as research associate at the University of Erlangen at the Institute of Medicinal Chemistry. He developed assay systems to study the influence of functional selective ligands. He laid there his foundation to work in the field of molecular biology. In 2008 he was an intern at Novartis Pharma GmbH and gained first experiences in the field of marketing and clinical development. He studied pharmacy at the University of Erlangen, Germany, from 2003 to 2007. Kaytee has been involved in the Health and Wellness industry for over 25 years. After graduating from Otago University with a double degree in Human Nutrition and Sport Science, A member of Nutrition Society of NZ, MINND foundation, is also a DAN practitioner working with Autism. Kaytee has continued on with further study within CHEK Institute - Holistic Lifestyle Coaching disciplines, ACNEM, as well as being awarded a Prime Minister’s Scholarship to for further study over the coming years. She was an advisor on the board of Breast Cancer Network (foundation) which was established to create resources for cancer patients. Currently Kaytee runs two busy clinics in Auckland and runs day and weekend masterclass workshops on all things cancer based, for patients, nutritionists, dietitians, health care staff/nurses, their friends and family and anyone interested in prevention or upskilling. Ranging from fundamental principles to specific diet interventions, lifestyle and circadian manipulation, immune support, hormone balancing, importance of glucose IGF-1 and insulin control, chemo-sensitizing agents to biohacking of genetic expression of healthy cells to create optimal health. A retired professional athlete herself, Kaytee has competed for New Zealand in BMX, Mountain Bike, Road racing and is a World Cup Gold Medalist in Track cycling, she has also competed in the Commonwealth Games. Her skill base has great depth and knowledge of the human body making it extremely helpful in diagnosis and treatment, as well as constructing exercise programs. Research interests: Clinical epidemiology / The human microbiome / Probiotics and Prebiotics / Cellular redox potential and pro-oxidant signaling systems. Click here for publications. Dr Christine Houghton holds a PhD in Nutrigenomics and a BSc in Biochemistry from the University of Queensland as well as a Graduate Diploma in Human Nutrition from Deakin University in Victoria. She is a registered Nutritionist and holds the position of Adjunct Lecturer in the School of Human Movement and Nutrition Science at the University of Queensland. potentially therapeutic bioactives derived from broccoli sprouts. courses: Foundations in nutrigenomics and advanced translational nutrigenomics, both self-paced online courses for practising clinicians. Dr. Mark Donohoe is one of Australia’s most experienced and best known medical practitioners in the fields of Nutritional and Environmental Medicine. He has a long history working in the emerging field of “integrative medicine”, and continues to bring orthodox & complementary medicine together in his Cremorne medical practice.. Graduated UNSW (1979) His major interest is nutritional/complementary medicine. He believes that most chronic illnesses can be improved through a nutritional focus: CFS, fibromyalgia, cancer prevention and treatment, diabetes, heart disease, insulin resistance, IBS and hormonal problems. Dr Joachim Fluhrer is a medical practitioner who is widely regarded as a leader in the field of integrative and personalised medicine. His particular interest is personalised cancer management and the early adoption into clinical practice of evidence-based liquid biopsy and tumour profiling. He currently incorporates liquid biopsy into his own practice, sourcing the most advanced, sensitive, specific and clinically validated technology internationally and advocating for the technique through national and online seminars and practitioner education. Dr Fluhrer is considered one of Australia’s most experienced practitioners and educators in combining nutritional and environmental medicine with standard medical practice. As a senior lecturer, he has presented at seminars and conferences nationally and internationally for more than 30 years. His positions include member of the Cancer Research Network, Sydney University, Faculty Member of the Australasian College for Medical Nutrition, board member of the Australasian Integrative Medical Association, Vice-President of the Australian College for Nutritional and Environmental Medicine (1999-2007) and committee member of the Australian Pharmaceutical Advisory Council (2003-2004). More info.